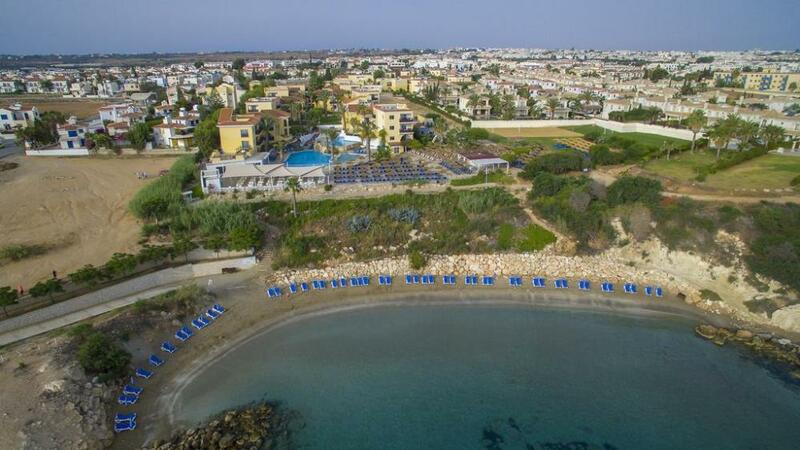 Malama Beach Holiday Village is located right on a sandy cove with picturesque rock formations, in an unspoilt area of Protaras, offering peaceful and relaxed holidays for all ages. 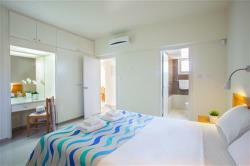 It is also an ideal "family resort", offering carefree family fun. 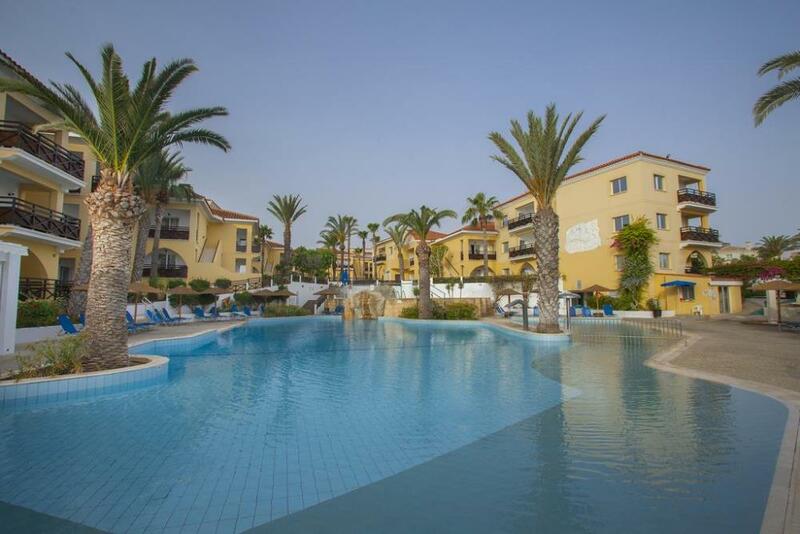 The Village, designed in an elegant "colonial" style, is located right on a sandy cove with picturesque rock formations, in an unspoilt area of Protaras, less than forty minutes from Larnaca airport. 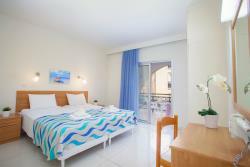 It is peaceful, offering relaxed holidays for all ages. Malama Beach is a uniquely designed holiday village offering 166 spacious and fully equipped suites. Malama is set in mature and beautifully landscaped gardens and offers an extensive range of leisure and sports facilities. Free Wi-Fi available in all suites and common areas. 24-hour Reception. The village offers to the guests: reception (24hours), lobby, mini market and souvenir shop, safe deposit boxes, car park, launderette and laundry service etc! Malama offers 166 suites, one bedroom (2 to 4 persons) and two bedroom (4 to 6 persons), probably the most spacious available in Cyprus. 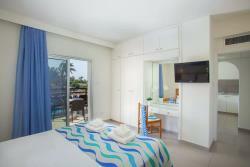 Many suites have the added bonus of a wonderful pool and sea view. All the suites enjoy a comfortable lounge, fully-equipped open plan kitchen, dining table, bathroom and large balcony/verandah. 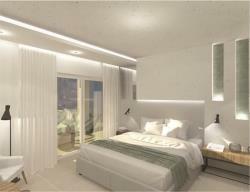 All 2-bedroom units have a second bathroom en suite. 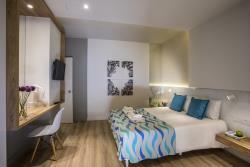 Suites have full air-conditioning, ceiling fan in lounge, flat-screen satellite TV, direct-dial phone, hairdryer, free Wi-Fi and safe deposit box. Malama Beach Holiday Village features "Le Repos" cocktail lounge, "La Piazza" al fresco restaurant, "Seaview" pool restaurant, and 3 Bars including poolside snack-bar. Bed & Breakfast or Half Board, unrivalled buffet breakfast, savory dinner menus available on supplement. 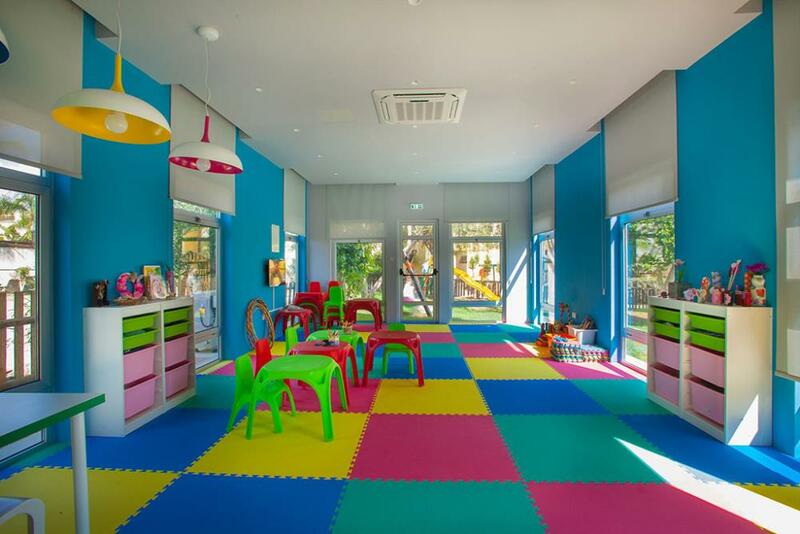 Also available fine à la carte cuisine for lunch and dinner, snacks and children's meals, vegetarian dishes and more. Varied program of weekly culinary activities, Folkloric nights, Barbecues, Theme buffet nights, Flambé gala dinner, children's dinner parties. 2 Landscaped siwimming pools with water jets, sun terrace, free sunbeds & parasols & beach towels, indoor seasonally heated swimming pool & Jacuzzi in exotic cave, Gym, sauna, steambath, table tennis, beach volley etc. Varied program of weekly culinary activities, Folkloric nights, Barbecues, Theme buffer nights, Flambe gala dinners. 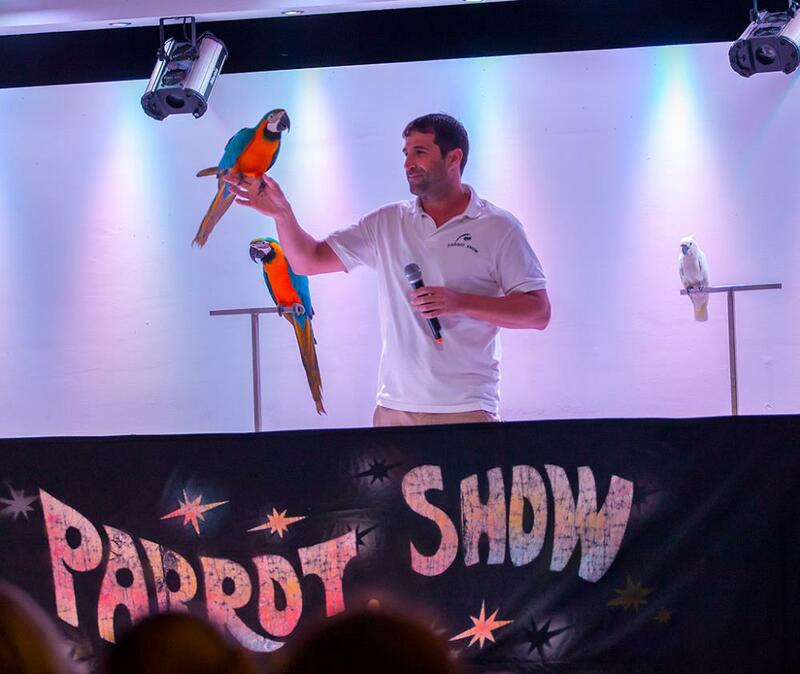 The Malama Animation Team organises social and entertainment activities for both adults and children, shows and games, parties, competitions, music and dancing! 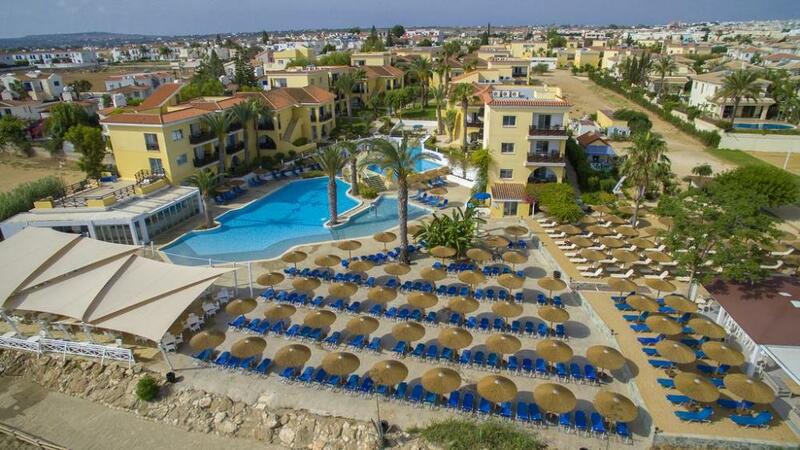 The Malama Beach Holiday Village is a unique holiday village set in mature beautifully landscaped gardens situated in an unspoilt area of Protaras, less than forty minutes drive from Larnaca Airport. Spa & Wellness Centre at Malama BEACH Holiday Village offers the utmost in a relaxing and individual spa experience: treatments specially created for the hotel's guests, superior spa products, and personal advice after each treatment. 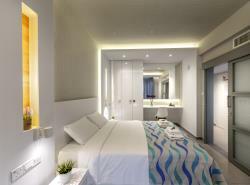 You deserve a place to escape, be taken care of and pampered. You are invited to join the ultimate “rebirth” experience. Whether it’s a regular beauty treatment or a luxury signature package, it will leave you feeling soothed and re-energized. Experience the purity of beauty with THALGO’s premier range of skincare and specialists in Marine spa therapies. Thalgo draws on the riches of the sea for powerful healing, revitalizing and re-balancing properties vital to our clients’ health and well-being. Lydia Daïnow The Power of Nature offers a wide range of ingredients to gently regenerate all skin types! All products are dermatologically tested for skin compatibility. Choose between Massage Therapy, Body- Face Treatments, Manicure, Pedicure, Nail Extensions, Harmony Gelish Soak-off gel, Eye-lash extensions.